Braskem is “promoting sugarcane-based polyethylene for blow-molding applications in the USA” (photo courtesy of Braskem). Bekum’s all-electric machines can be faster—and cleaner—than hydraulics (photo courtesy of Bekum). 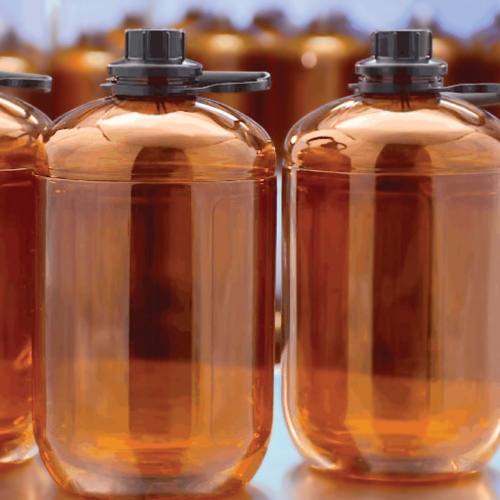 Plastics Technologies’ “bottle-in-bottle” BrightPak design is an award-winning approach to protecting valuable semiconductor fluids. 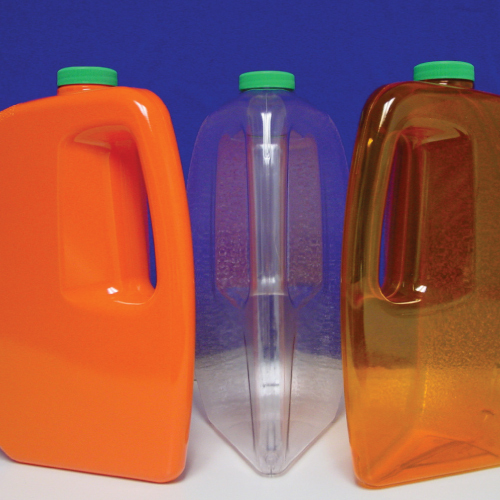 “Orange slice” handled PET bottles show literally the shapes of things to come in blow molding (photo courtesy of Bekum). Racking up awards from your peers in the blow-molding sector is a sure sign you’re on the right path in bringing innovation to the marketplace. Among the top part winners lately (discussed below) are Plastics Technologies’ bottle-in-bottle package for semiconductor production and a fuel tank by Kautex Machines that allows parts to be placed inside it during the molding process. Not to be overlooked, of course, are the trends in materials and machines that are every bit as essential as milestone products. A survey of some members of SPE’s Blow Molding Division reveals the most notable advances in this area. While Europe typically uses bimodal resins in smaller applications, the high volume of unimodal polyethylene products (milk jugs, oil-quart containers) in the USA means there isn’t as much economic incentive to retool for lower volume applications, Glass explains. The challenge domestically, he asserts, is that blow-molded products made for the European market will have to be made with bimodals to be competitive. While a push to export polyethylene will spur investments in production plants in the next five years, “I don’t know that there are going to be any domestic markets for blow-molded bimodal-type resins.” It seems likely, he says, that as blow-molding production equipment wears out in the USA, converters are likely to retool to take advantage of bimodal resins—but these conversions will be slow. Bimodals typically have much better environmental stress crack resistance. “You can also lightweight a little bit—maybe 10 to 15%—and maintain the same top-load properties.” Smaller containers (one to two gallons) could be a segment that benefits from the use of bimodals. Biopolymers are also gaining traction. Braskem “is promoting sugarcane-based polyethylene for blow-molding applications in the USA,” Glass says. 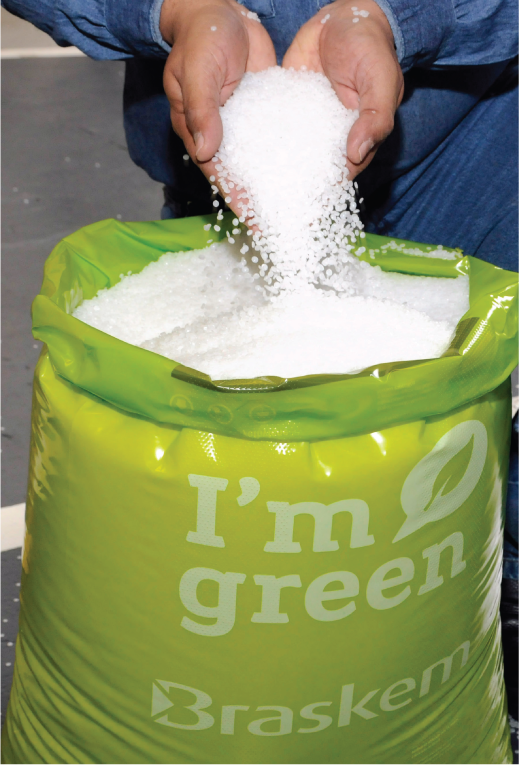 “These are being used in niche applications where the brand owner or consumer recognizes the value a renewable feedstock resin brings.” Such resins are finding their way into segments like health and beauty, home care and specialty-food packaging. 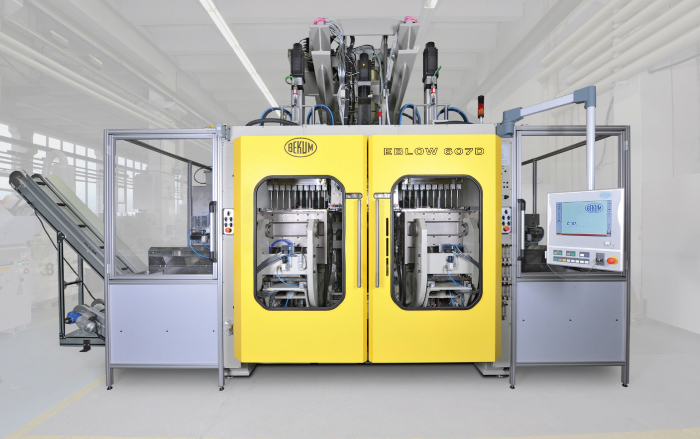 In terms of machines, all-electric blow-molding equipment is gaining ground in Europe as a way to improve energy efficiency and precision while avoiding the costliness of maintaining hydraulics. “Energy in the USA is much more affordable,” says Gary Carr, marketing chair for the Blow Molding Division and director of sales for Bekum. Therefore, that cost consideration doesn’t drive adoption of the equipment. That magic combination of form and function has been exemplified by Plastic Technologies’ multiple-award winning BrightPak Liquid Dispenser with collapsible inner liner. Not only was the package honored at the 2013 Annual Blow Molding Conference (ABC 2013), it earned accolades in SPE’s new “Plastics for Life” competition at ANTEC® 2014 in April (see also p. 23 of the June Plastics Engineering). SPE’s 30th Annual Blow Molding Conference will take place October 5-7, 2014, in Chicago, Illinois, USA; learn more at www.blowmoldingdivision.org.